Mark and I miss Susie every day. Actually, any-and-everyone who knew her misses her. Susie was our Auntie Mame. Our partner in giggling. A truly dear friend, and the epitome of elegance. Red was her color: red lipstick, red nail polish, red (Ferragamo) shoes, red handbags, red-on-white toile de jouy upholstery. Red, but never garish, tempered by black, white and a touch of gold - Susie had impeccable taste. White was her color for wine. She loved nothing more than sitting in her study, gabbing over a glass of Santa Margherita Pinot Grigio before dinner. On occasion, we'd go to a restaurant where there was a piano bar. She would send one of us over to tip the pianist... and, of course, request some of her favorite songs. Cole Porter. Jerome Kern. Rodgers and Hammerstein. "And that song from Phantom, darling. You know the one." She'd sit there, in her favorite corner booth, all cozy and "intimes," singing along with the piano with the biggest smile on her face. She found such joy in those songs, songs that brought back wonderful memories spanning her almost 90 years. Susie and food. She absolutely abhorred large portions; nothing turned her off more than an overflowing restaurant plate. She'd often ask a server to bring her just a half portion, explaining she would gladly pay for the full one. She really loved a good steak - always cooked medium rare - but wanted it served with only five French fries. Once, the chef at her club sent out six fries and she sent back word (with a giggle and a wink) that she was not pleased. Her favorite dessert was peppermint stick ice cream with chocolate sauce, and ordered it almost every time we dined out. A couple of years ago, for what turned out be our last Valentine's Day shared with her, I made her favorite meal - rack of lamb. 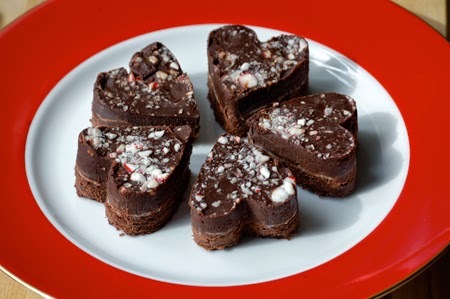 For dessert, I combined her favorite flavors - peppermint and chocolate - in these little peppermint love bites. She also had a favorite saying - a motto or an attitude, really - by which she lived. 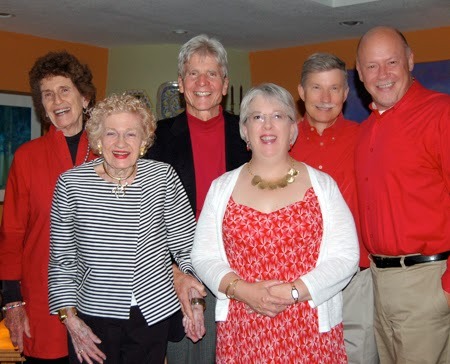 It was a great way to look at life... "Ah, the hell with it..."
We all turned out in red to celebrate Susie – she wore black and white! Missing you this Valentine's Day... missing our lady in red. 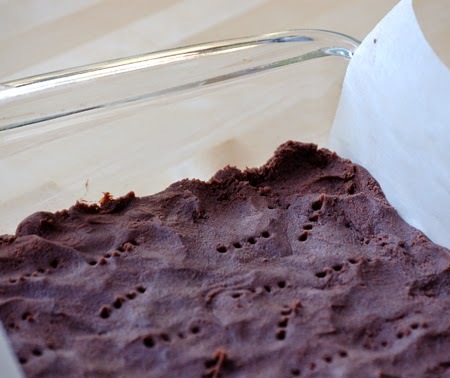 In a food processor, pulse together the flour, 3/4 cup sugar, cocoa powder and sea salt. Pulse in the butter and vanilla until the mixture just comes together into a smooth mass. 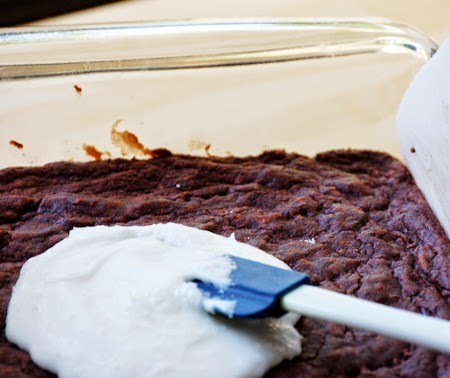 Line an 8-inch square baking pan with parchment or wax paper. Press the dough into the pan. Prick all over with a fork. Chill for at least 20 minutes and up to 3 days. Heat the oven to 325°F. Bake the shortbread until firm to the touch and just beginning to pull away from the sides, about 35 minutes. Cool in the pan for 20 minutes on a wire rack. Mix remaining 1/2 cup confectioners sugar, extract and 4 teaspoons cream – spread evenly over shortbread’s surface and let cool thoroughly. 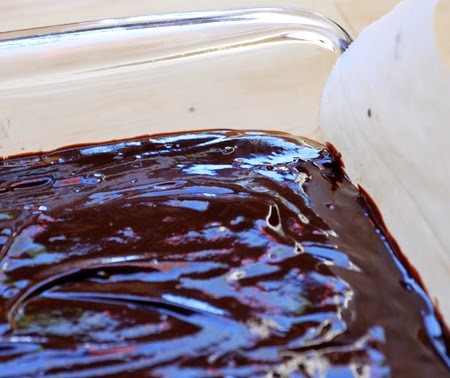 Place chocolate in a heatproof bowl. 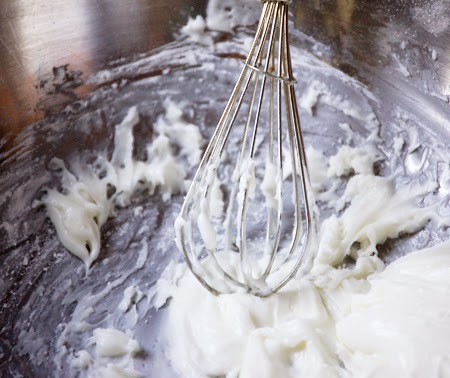 In a saucepan, bring the remaining 2/3 cup cream to a simmer. 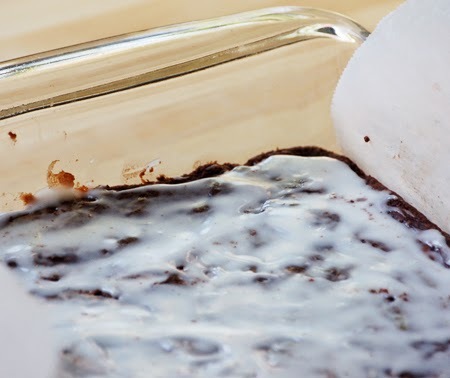 Pour over the chocolate and whisk until smooth. 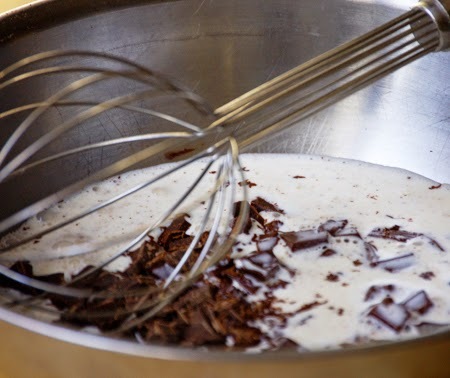 Whisk in the chocolate liqueur. Spread over shortbread. 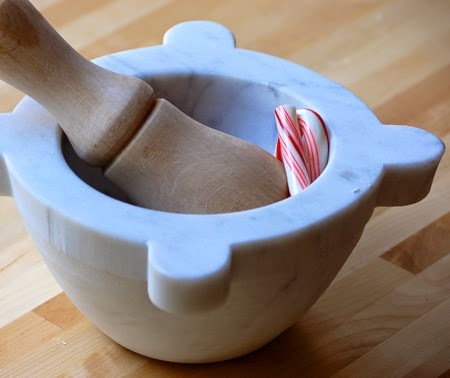 Sprinkle candy cane pieces on top. Cool to room temperature; cover and chill until firm. Using a heart-shaped cookie cutter, cut the love bites out and place on a platter or individual serving plates. 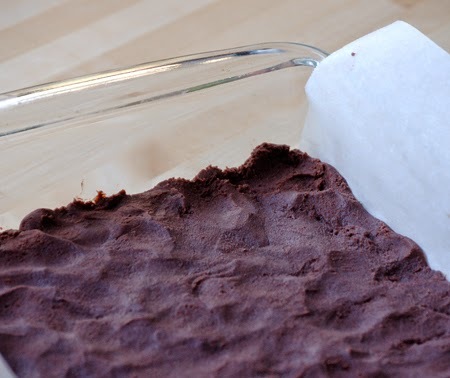 (Any leftover scraps should be eaten right away, and have no calories…) You can also cut them into small squares. Hello everyone - it is rare that I make the first comment but, in posting, I thought I would share that I might consider doubling the peppermint cream layer the next time. What a wonderful story and how I loved hearing you stories about your times with Susie. After an evening with her, you always come into the office with a big smile. Thanks for sharing. Thanks, Jill - it is so hard to believe it is almost 3 years she has been gone... She really brought great light into our lives. Love this post about your friend David. And lovely dessert. Vale Susie... and thank you Mark for a wonderful post! Thanks, Liz - I hope you and Peter had a nice celebration! I loved reading this post David! Your friend Susie sounds like she was a fabulously elegant lady! I also love your lovely dessert…perfect for Valentines Day! Have a Happy! Thanks, Kathy - she was! And still is in our hearts! What a lovely tribute, David! Thank you for sharing these stories about such a wonderful woman. You are so welcome, Cora! You would have loved her, and she your. She loved people who shared their talents with the world. Thanks, Dedy! When are we going to see a dessert on your blog? Dear David, your friend Susie sounds like she was an absolutely delightful person - what a heart-warming and touching post you wrote - I certainly enjoyed reading your tribute to her! Hope you are having a wonderful weekend - you would have loved coming along with us on our day-trip to chocolate heaven yesterday. Loved reading your tribute to your friend! People like Susie never go away really, they leave such an impression on everyone they meet. When I was in secondary school (middle school) my headmistress was a lady similar to Susie. I loved her, so much energy, sophistication and so alive. I'm sure shes no longer around but I think of her quite often because she made such an impression on me at a young age. These peppermint hearts are a perfect tribute. It is womderful to have people like this in our lives, Nazneen. I am glad I put that photo in - it really makes me smile! What a gorgeous tribute, David. 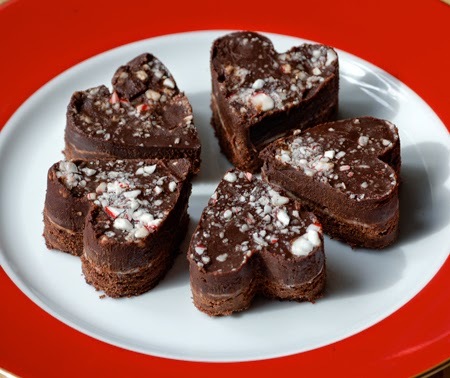 You must have smiled and shed a tear when you made these peppermint hearts. I did, John. She was a very special friend. Glad you enjoyed the post. What an absolutely lovely tale! And such a nice remembrance. 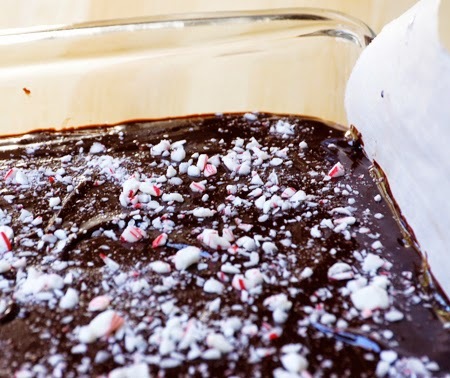 There's a recipe for peppermint ice cream with fudge sauce in "Baked Occasions." It's one we tested in secrecy - and so delicious! I hope you 2 had a lovely Valentine's Day! I will have to check out "Baked Occasions" - sounds wonderful. It was a great Valentine's Day here - did John mind sharing you with the Doristas? What a wonderful story - makes me wish I had known Susie. 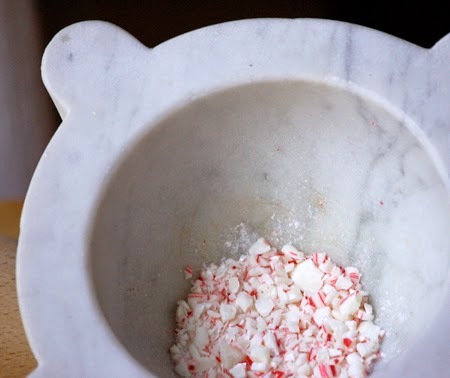 Your treats look delightful - chocolate and peppermint are one of my dad's favorite combinations - saving this to make for him. Thanks for sharing! Thanks, Nicole - I hope your father likes them! Hi David, what a beautiful story and post about your wonderful friend, she sounds like one classy lady. 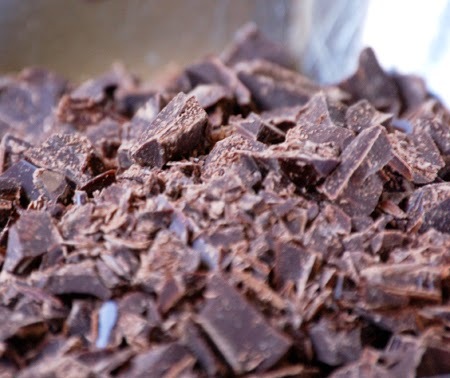 Chocolate and peppermint are such great flavors together, like a match made in heaven. Cheri - it's funny how many people love mint and chocolate together ! Thanks for your nice comments about Susie! I adored this post. What a wonderful tribute to Susie, David. She sounds like she would be a lot of fun to be with. Susie may have worn black and white, but she is sporting that bright red lipstick! I'm sure she would have loved these chocolate peppermint hearts; how could she not? Especially being made by you. Thank you so much for pointing out Susie's red lipstick! That is perfect. Cathleen! She was so much fun - I loved to cook for her - she always thought it was like magic! I have to say, Susan, I do think we felt much the same about one another! Thanks, Laura. It seems like just yesterday we were together... how time does pass quickly! That is so sweet, Fiona. I, too, get quite teary when I think of her. What a lovely post! Since my trip to Jamaica, I've fallen behind in everything, including reading your posts, so I'm just catching up. Your friend Susie, sounds very similar to my old friend, Maisie who has also left us, so I can totally relate to your story. What a joy to be able to have friends such as these ladies, who held a treasure trove of spectacular stories from the past. David, I think you need a cookbook of your own! Wouldn't it have been fun to get Maisie and Susie (whose best friend was Bazy!) together? I miss them both a lot.